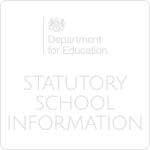 The documents below are those required by the DfE to be published on the website. At Toot Hill School, we value the abilities and achievements of all our pupils and are committed to providing for each pupil the best possible environment for learning. We know that many pupils will have special educational needs at some time in their school life but with the right support and intervention all pupils are able to experience and enjoy positive achievement. Legislation ensures that a Special Needs Code of Practice is followed by all schools to provide appropriate opportunities for pupils with special needs. We welcome this framework at Toot Hill to ensure that each pupil's needs are met with existing resources. 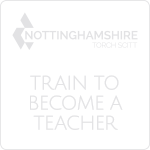 Most children find that they can progress with the help of their subject teachers and tutor, but some will need extra support. For further information about Learning Support at Toot Hill, please see the Questions & Answers page. The Learning Support department hold regular monthly meetings for parents to come along and discuss concerns they may have about their children. They are held once a month on a Tuesday from 3.30pm until 5pm. 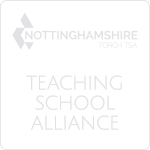 If you are worried about some aspect of your child's learning, development, behaviour or progress or if you have a child with special educational needs and want to know more about the support they are getting, then please ring the school office and make an appointment to see Mrs Jo Kitchener or email her at JKitchener@toothillschool.co.uk, Special Educational Needs Coordinator. See below for dates of future meetings. New Staff join the LSC this year.